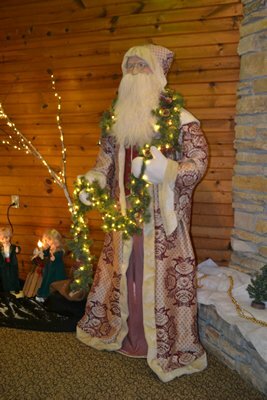 The three Rotary clubs of Sheboygan County are proud to announce the sixth annual Making Spirits Bright holiday lights display in Evergreen Park. Admission to the park remains free of charge. However, donations to the Sheboygan County Food Bank are highly encouraged. Our collection goal this year is 85,000 lbs. Sponsors contributions support the growth and enhancement of the lights display. 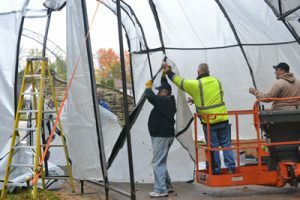 Cash donations, collected in the park, may be used for repair and enhancements for the light displays and may be distributed to other not-for-profits. We are accepting donations of any size and you can mail your check, payable to Making Spirits Bright to PO Box 441, Sheboygan, WI 53082. All contributions are tax deductible since this venture has 501(c)(3) status. Volunteers are vital to the success of this lights display. Areas of need include setting up the displays, decorating Quarryview Center, working a shift during the event and helping with dismantling after Making Spirits Bright closes. We encourage anyone throughout the County to become involved. For more information, please contact Gerry Plehn, Steering Committee Chair at 920-234-2292. Our objective is a twofold – collect pantry items for the Sheboygan County Food Bank and provide an exciting, affordable and quality family event.